Should I Put It On My Resume? For your first job out of college, it might be appropriate to have your babysitting gigs from high school on your resume. If you have five years in the workforce, it would not be appropriate to have high school babysitting on your resume still. At a recent workshop at West Chester University in West Chester, Pennsylvania, I worked with a student who had mowed lawns for neighbors. Again, in 20 years you won’t want that on your resume, but for your first job out of college you might want to use it to show that you are good at sales, client relations, pricing, marketing, etc. This is a small scale example, but it’s your own business and that is worth highlighting somewhere in your job search materials–if not on the resume, in an interview or written personal statement. Do you list all your courses on your resume? I gave a version of the answer I always do: try to highlight features of your coursework that have provided you with relevant workplace experience. Generally, you should avoid listing things on your resume (see this great post from YouTern). Some employers want to see that you took certain courses (for example, “French for Commerce & Industry” should be on your resume if you are applying for work in a business profession with international interests; maybe list marketing courses if you’re applying for jobs in marketing). Some employers said they want to know you took relevant courses at West Chester (or the campus where your degree is from). Others say they don’t think listing courses is a good use of resume space. In their Spanish for Business class at the University of Illinois, students studied Social Media Marketing and practiced their skills by working with organizations from across the community. 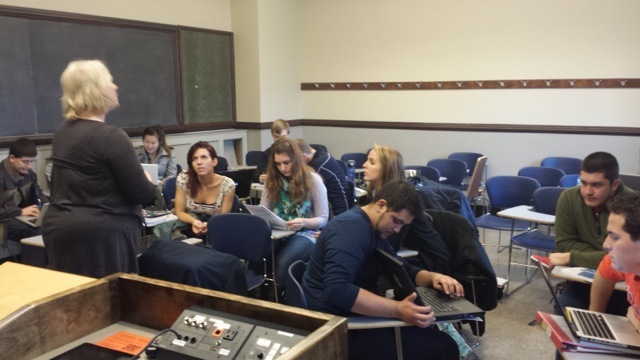 Here groups of students work on their Social Media Marketing projects. Let’s look at one specific example of how to include a course on your resume without just listing the course title. 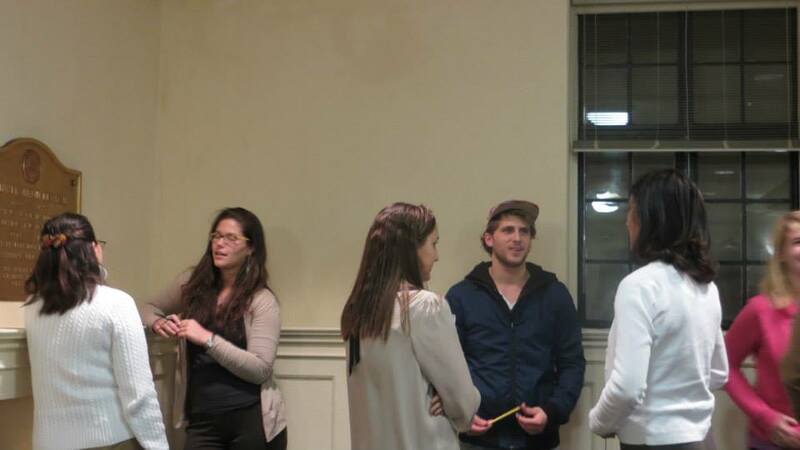 Students in a Spanish for Business class at the University of Illinois worked as student interns for various community organizations in the fall 2013 semester. The next draft has to get rid of that course number (it doesn’t mean anything to anyone off campus)–and maybe even the course. FInally, include a brief description that shows how you deployed workplace skills (this is where you can include the course that it was a part of). If your resume has room, you could add the link to the site where the pins are now posted (www.pinterest.com/darcylear/darcys-résumé/), you could add the clause “as part of a Spanish for Business course at the University of Illinois…,” or you could alter the wording to better match specific job requirements from a particular job ad. Even if the exact wording changes for each application and the details that you include vary widely (“it depends!”), you can’t go wrong by highlighting any and all professional skills you’ve acquired during your college years.